As Björn Frantzén and Daniel Lindeberg’s first hire back in 2008, Jim Löfdahl has been part of the birth, growth and evolution of Frantzén. Backed by experience in Stockholm kitchens prior to joining Frantzén, Löfdahl was soon named head chef in 2011, then appointed to lead their three-month pop-up at Enigma in Dubai’s Palazzo Versace, before going on to helm Frantzén’s Kitchen in 2016, their first international location. Since June of this year, Löfdahl has been heading up The Flying Elk, Björn Frantzén’s contemporary Nordic concept created in partnership with the Maximal Concepts group. 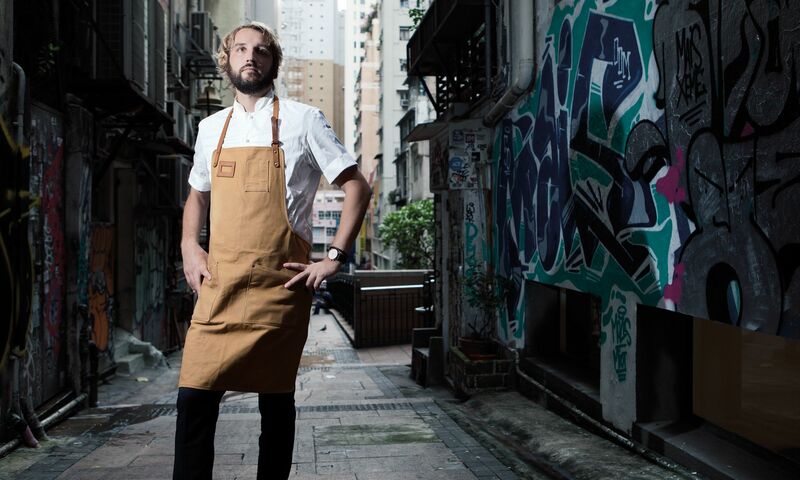 Having lived in the city for almost two years now, Löfdahl has found his go-to spots around Central for cuisines far removed on the flavour spectrum from his Nordic roots – several of which he shares here. This casual American-Italian restaurant has a good atmosphere and great food. The Italian kitchen is my Achilles Heel! Great location and venue, and chef Shane Osborn really shows off his skills with the season's best ingredients. Lovely spot, plus I love their dim sum and roasted Beijing duck! Amazing ramen and vegetables. My favourite is the dipping noodles and steamed radish, with a Coke Zero. Another Italian restaurant—the pasta is spot-on, and I love the venue during nighttime. It makes you feel like you're in a Star Wars movie, with all the skyscrapers surrounding the place. Classic cooking techniques, with rare and extreme flavours and ingredients – what's not to love about this place? Drink Would You Splash Out On This $36,000 Frantzén's Kitchen And Domaine De La Romanée-Conti Wine Dinner?